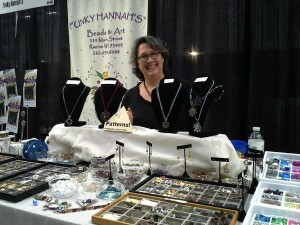 Funky’s At Two Bead Shows Coming To Your Town! Find us in Highland Park at Ayla’s new show location location – The Art Center – on Sunday September 29th 10am-4pm. Stop in and pick up a postcard to save on show admission! Click here for more info. The Milwaukee Bead Show is back Sunday October 6th at the West Allis Central High School. Come see us at this great new location! Click here for show info.